“We did not want to use surface-mounted door closers because they would spoil the appearance of our exquisite interiors. We also needed something that would be easy to install, reliable and require minimal maintenance. 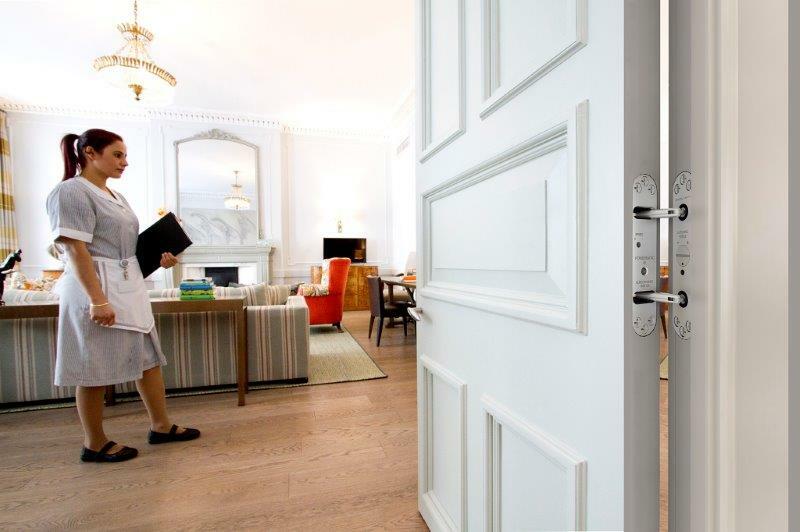 There are, however, additional benefits for hotel projects that come from this concealment and Powermatic’s installation; With minimal exposed surfaces and being fitted at a relatively low position in the door, the door closer is easier to clean and inspect. Being jamb-mounted, it is also much more convenient for use where there is limited headroom above the door or where 90-degree reveals are present. It has even been proved to contribute towards the retention of sound insulation properties of guestroom doors. Additionally, total concealment reduces the risk of the door closer being tampered with, thereby enhancing reliability and assuring guest safety.